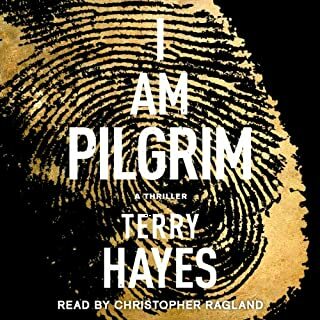 I enjoyed this book immensely , didn't want it to end but couldn't stop listening. I haven't come across this author before but have promptly bought another of her books. Briefly this is a story of privilege and how it is so easily taken for granted and abused, a story of wrong doings covered up and the protection provided by the old boy network. It is also somewhat a story of redemption where one of the main female characters finally come to terms with her past , while the other finally sees her perfect marriage for the sham it is. Great read, I highly recommend the book because the characters and plot are so well developed and the narration is pitch perfect. Compulsive listening, fabulous story, great insight into a troubled mind. Couldn't stop listening and recommended it to friends who also loved it. 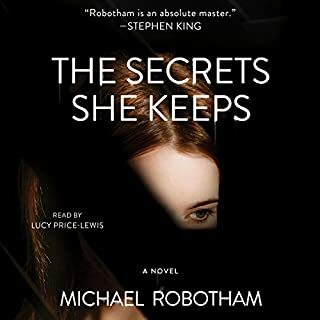 Definitely the best Micheal Robotham so far, he presents a very believable female perspective. 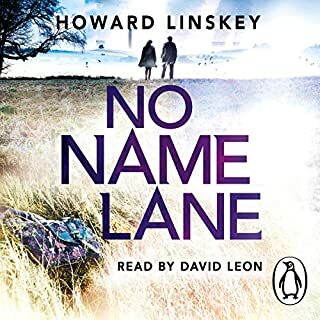 I was totally engrossed by the story and the skilled narration which made the characters live.I wish this author had written more books, there seems to be only one other available on Audible. There is humour and humanity among the gruesome murders. I totally enjoyed the book and can't wait for more by this author. The narrator's Liverpool accent was brilliant too. I loved the anticipation with the first victim who was enjoying her wine and Sleepless in Seattle movie when evil came tapping.The transition from relaxed evening in to helpless victim was well done. Too many favourites to identify just one although I enjoyed all of the interactions between Cody and Megan and the rapport they had together. No, I wanted to ration it out so that it wouldn't be over too quickly because it was so enjoyable and so much fun to listen to. A great book, and a surprise. 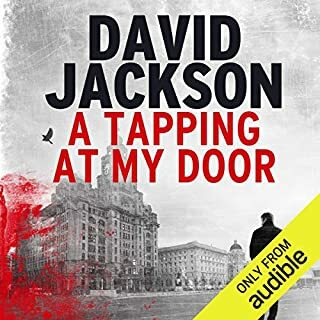 I have never heard of this author David Jackson, although I knew that the narrator was excellent from listening to other books he has recorded. One of the best, in the top 3. Part of the pleasure involves anticipating the pay back revenge planned by a very clever character. Beautiful command of the range of accents from within the UK. A dish best eaten cold. Can't believe I waited so long to buy this one. 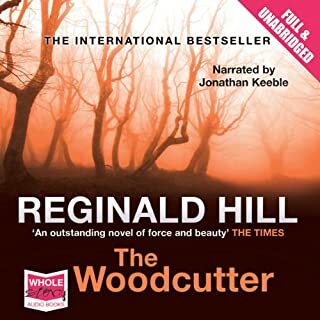 Sorry that master writer Reginald Hill is no longer with us. The best thriller I've ever read. I have already recommended this book to several friends. I can't believe it hasn't generated more buzz. It is a superbly crafted thriller, intelligent and highly engaging. The two main characters, one a U.S.A secret service agent and the other a terrorist working alone to destroy the western world are both well developed characters, who elicit the reader's respect because of their single minded determination and commitment to their very different objectives. The hotel manager in the Turkish resort provides comic relief via his unique delivery of the English language. The narrator is well suited to the story he tells. 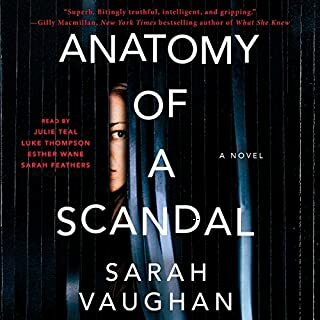 His voice is pleasant and well modulated and surprisingly matter of fact regardless of the scene he is describing.He is a perfect fit for the novel, and is able to tell the story in a manner that is engaging, low profile and very convincing. A new brand of terrorism that makes suicide bombing seem benign. This was an amazing listening experience. It was a long novel but I was so engrossed in the plot the time flew by and I didn't want the book to end. Where does A Song for the Dying rank among all the audiobooks you’ve listened to so far? A terrific thriller, there was even humour hidden among the blood, gore and twisted minds. Far fetched, certainly and very gritty but highly entertaining and beautifully narrated by Ian Hanmore. 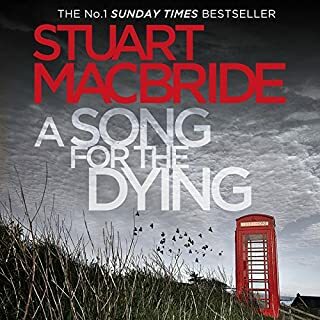 I am really looking forward to the next book by Stuart MacBride, hoping to meet up with the same characters again. I was engrossed in this book from the start although I found some of the characters very harsh and some of the scenes were brutal. I loved the problem solving skills used to untangle the crimes and the way the team each pitched their unique skills to arrive at the truth. The plot reminded me of Ian Rankin with the gloves off, clever, intuitive, gritty and at times funny. Have you listened to any of Ian Hanmore’s other performances before? How does this one compare? I haven't heard Ian Hanmore before but love his Scottish accent and would like to hear more of him narrating . At times the book made me laugh but the humour was secondary and almost covert. combined to make this a wonderful audio experience.